We are raising funds for a specially trained service dog for our dear friend, Griffin. 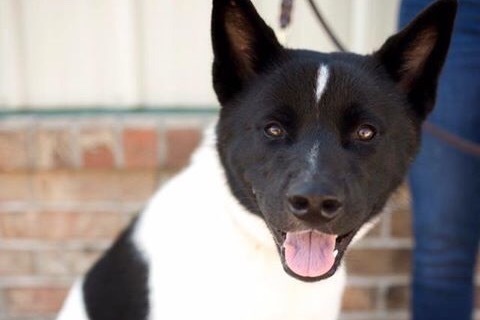 Griffin is a 3 ½ year old boy with very complex medical needs. 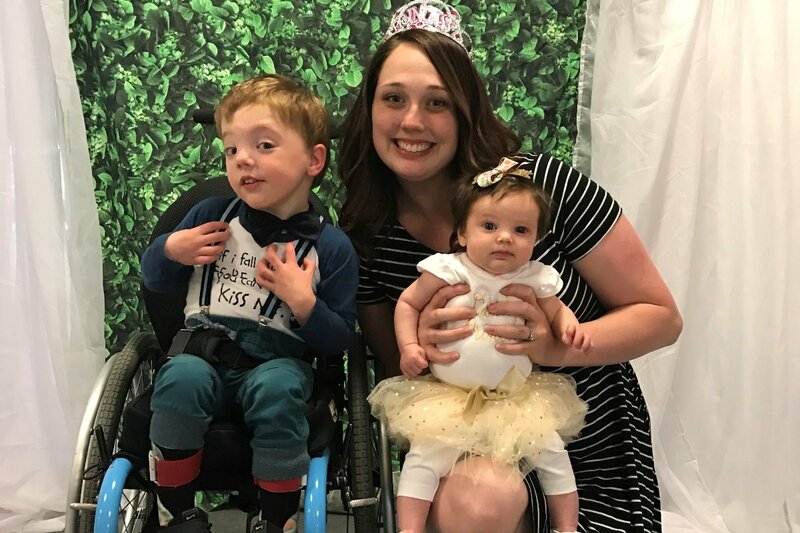 He has a rare genetic disorder called Nicolaides-Baraitser syndrome, Epilepsy, severe developmental delays, sensory processing disorder and other medical issues. He attends Physical, Occupational and Speech Therapy every week, as well as a local special education preschool. 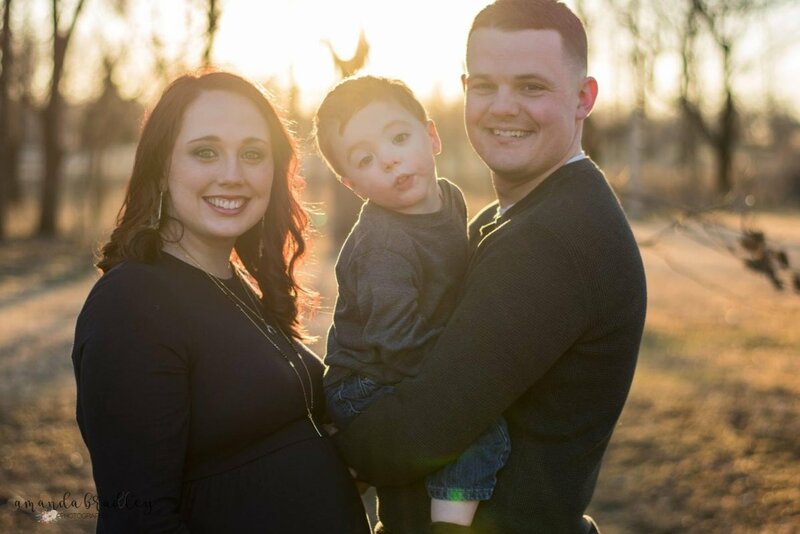 He lives near Ft Leonard Wood, Missouri with his Father Ethan, Mother Lexie and baby sister Raelee. Anyone who knows Griffin and his family knows they are a family full of love, energy and positivity, even with challenges thrown their way. 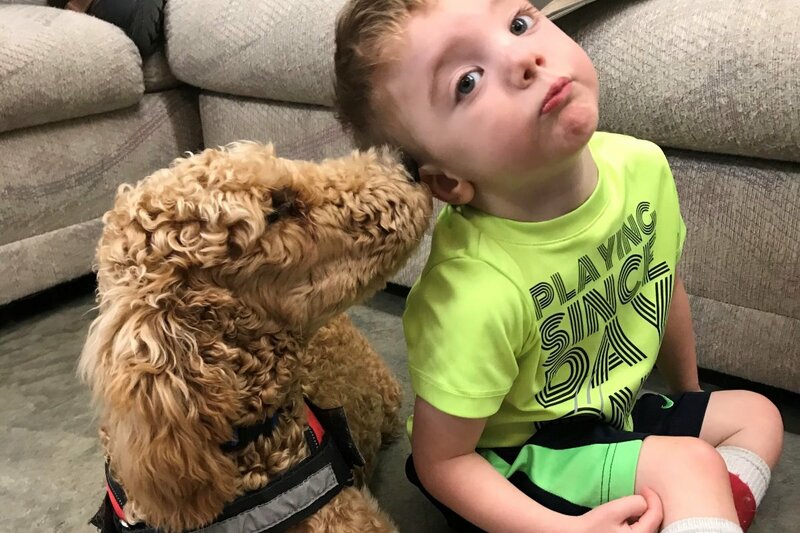 Sadly, on May 3, 2018, Griffin’s service dog in training, Tucker, unexpectedly passed away. 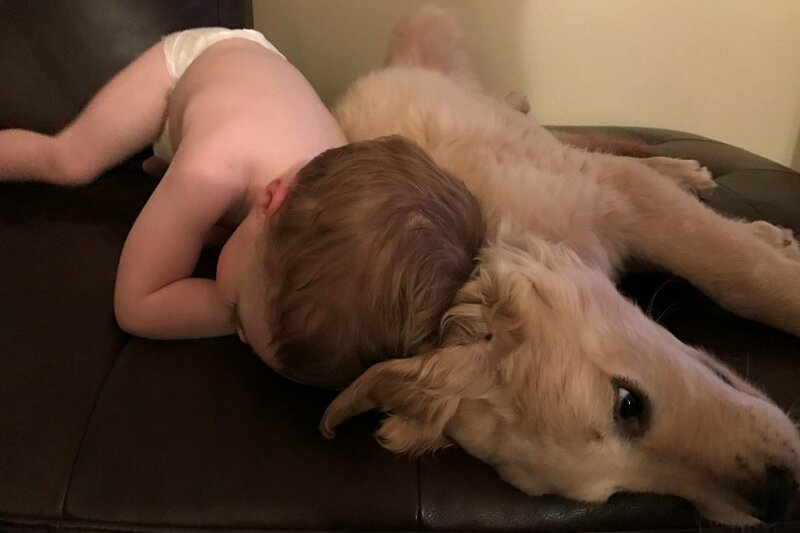 The family had not only invested money into Tucker’s training but sweet Griffin had fallen in love with Tucker and he slept in Griffin’s room each night so they could bond. Griffin’s medical issues are very complex and have recently been getting more severe. 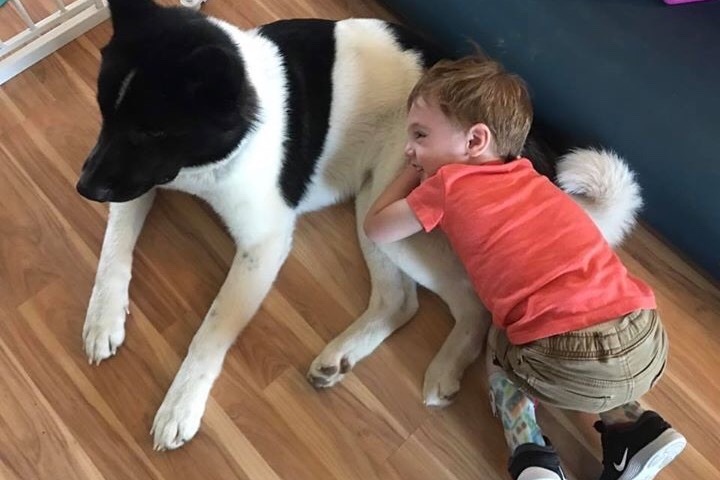 His family has begun the search for another service dog, which is no easy task. They are looking to purchase a dog through the K9s for Camo in Rogersville, Missouri. The support services offered through this program’s dogs provide the following: mobility assistance, seizure response, and safety awareness. The cost for a trained service dog will be $6,500. K9s for Camo was created by a veteran for veterans. Their mission is to help veterans suffering the effects of war transition into their civilian lives by providing a service dog trained to mitigate the effects of PTSD. They also provide training for people with diabetes, epilepsy and mobility issues. Since Griffin is a dependent and not a veteran the family will have to pay out of pocket for Griffin's dog. However, in their cost, we are rescuing a dog that would have otherwise been euthanized at a shelter, getting Griffin the dog he needs, rescuing a second dog, and helping a soldier! Every dime we raise for Griffin's dog goes right back to getting another veteran a service dog! 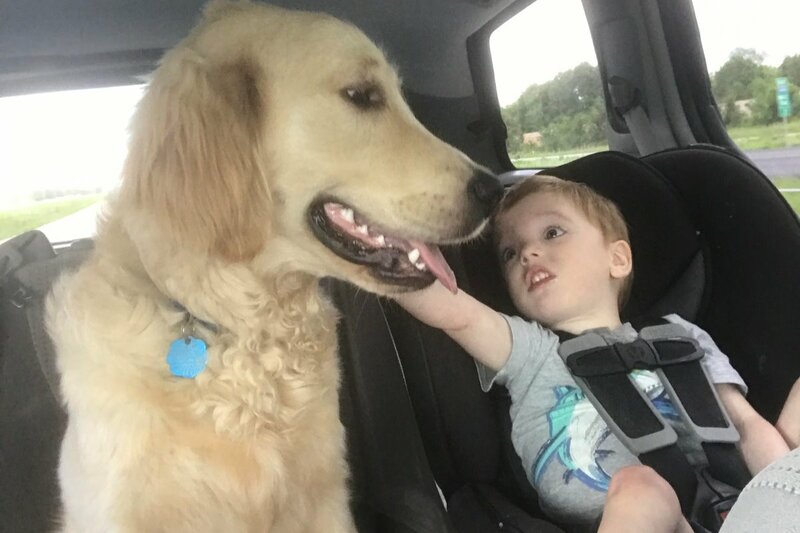 Getting Griffin a new service dog will help him gain more independence, build relationships, and allow for community mobility. 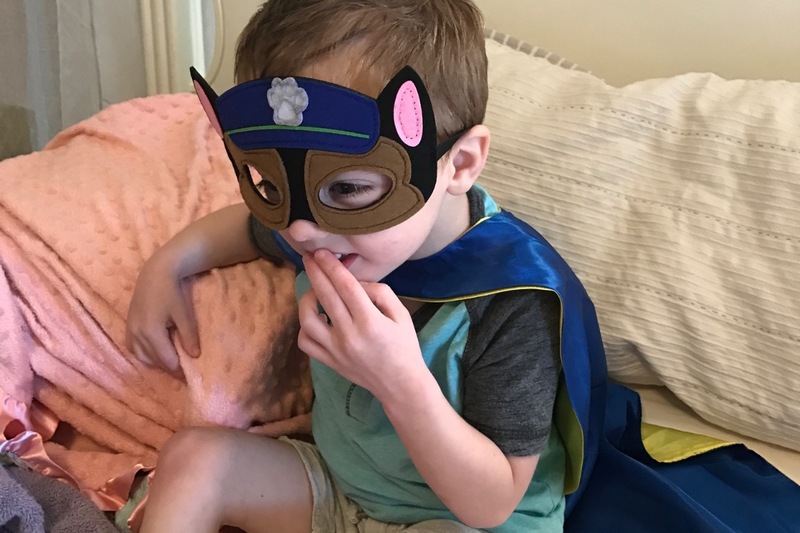 Additionally, it will help improve Griffin’s safety, overall health and alert his parents when Griffin is about to have a seizure. This will be a huge blessing for Griffin and his family. We all sincerely appreciate any and all help given to assist Griffin’s family with the purchase of this service dog. Today was a long day... our appt was at 1:30, and we didn't leave the hospital till after 4:00. 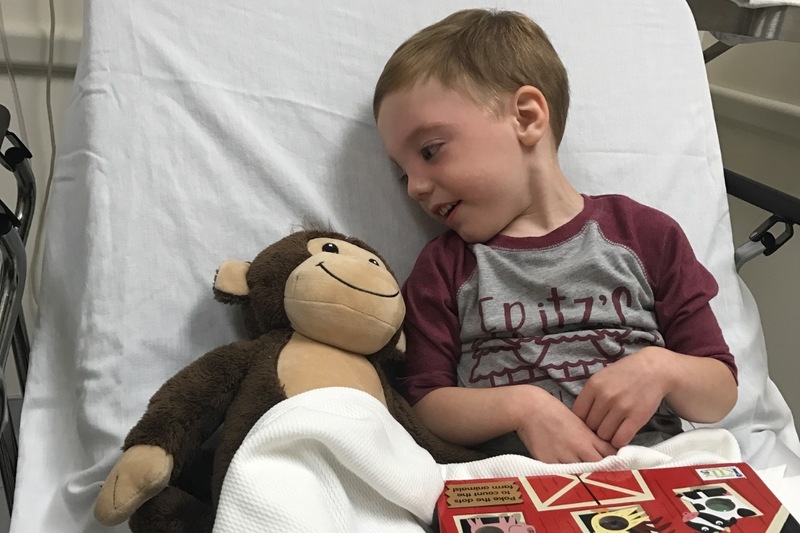 To make a very long story short, from where we stand right now Griffin's brain and skull look "within normal range for a child with a Syndrome of this degree." When I asked if his brain was normal compared to a typical brain I got the same answer that his brain was within normal range for a child with a Syndrome of this degree... whatever that means... I got told to go ahead and increase seizure meds, begin migraine therapy (medication), and autism therapy. I informed the doctor that Griffin doesn't have autism as an official diagnosis and I got told "I know it's hard to accept when your child has autism, but continue with autism therapy." So, our next step is that we have already contacted our team in NYU for a second opinion. Our team in New York City is who caught pressure on his brain when 6 other doctors told us his skull was normal, so I will feel much more at peace with their answer! So long story short we are most likely facing A) Increased Seizures B ) Severe Migraines C) Missed Inter cranial Pressure. No matter what we will figure it out and help our little man. We have some big appointments coming up the next few weeks! Griffin will be having a sedated MRI and CT Scan. He has been having increased seizures, accompanied with projectile vomiting, so there is concern that he may have pressure on his brain. 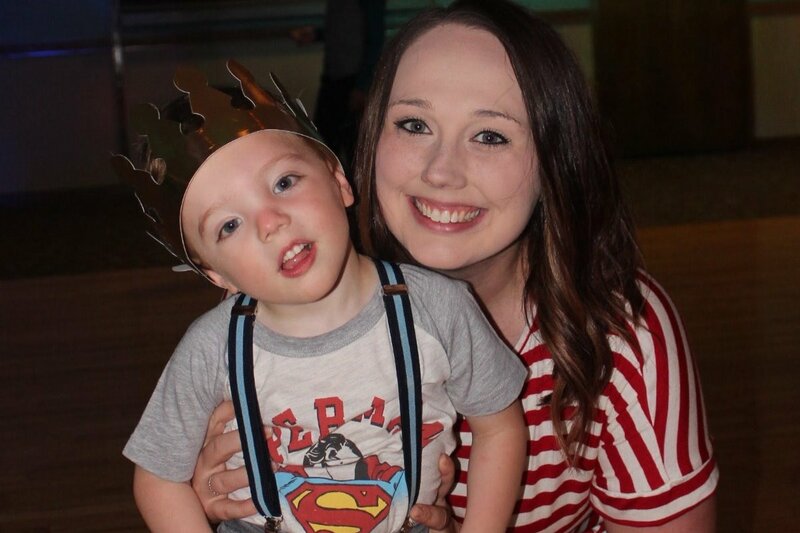 When Griffin was 1 year old he had open skull surgery (Cranial Vault Reconstruction) to relieve pressure from his brain, and we are concerned this could be needed again. Hopefully in the next two weeks we can get more answers and help our boy as much as we can! 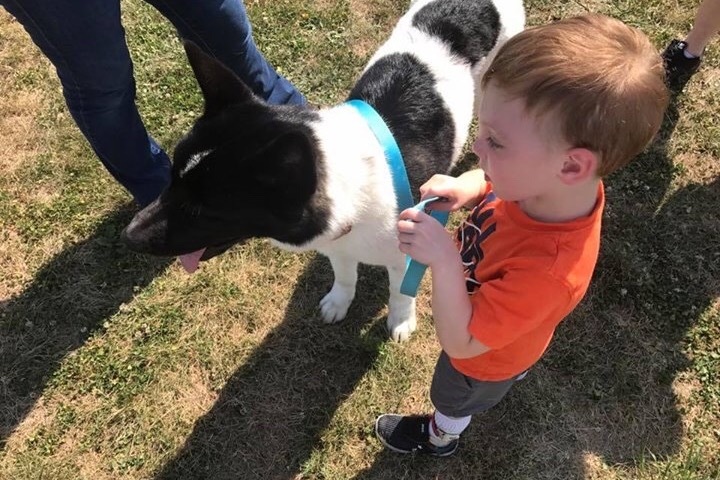 One thing his dog will be able to help with is eventually detecting griffin's seizures, and keeping him safe during his seizures. Thank you everyone for your continued love and support! We got our first update on Apollo today! Day #4 of training and Apollo is adjusting well to his new environment and is doing GREAT with his training! We even got to see a video of Apollo playing in the dog pack! Did you know that service dogs aren't all work and no play? These dogs work so incredibly hard for their owners, but they also get rewarded majorly in their down time with cuddles and play time! Griffy is missing seeing Apollo everyday, but their bond will be stronger then ever when they are reunited! However, it's GO TIME for fundraising as the remainder of the funds will be due upon Apollo's completion of the program! We are so blessed and are so excited!